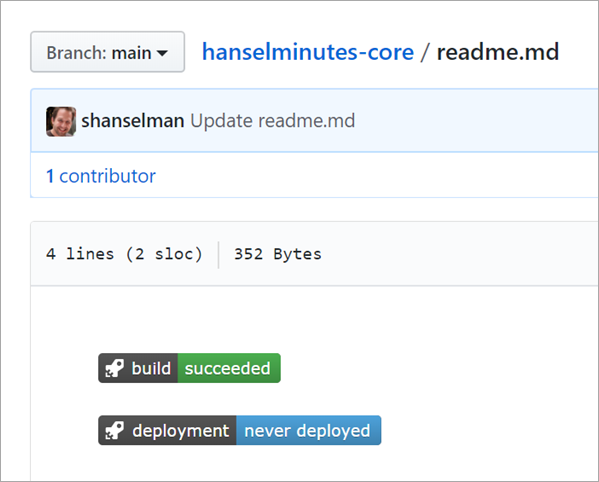 I’ve been doing Continuous Integration and Deployment for well over 13 years. We used a lot of custom scripts and a lovely tool called CruiseControl.NET to check out, build, test, and deploy our code. However, it’s easy to get lulled into complacency. To get lazy. I don’t set up Automated Continuous Integration and Deployment for all my little projects. But I should. I was manually deploying a change to my podcast website this evening via a git deploy to Azure App Service. Pushing to Azure this way via Git uses 220;Kudu” to actually build the site. However, earlier this week I was also trying to update my site to .NET Core 2.2 which is in preview. Plus I have Unit Tests that aren’t getting run during deploy. So look at it this way. 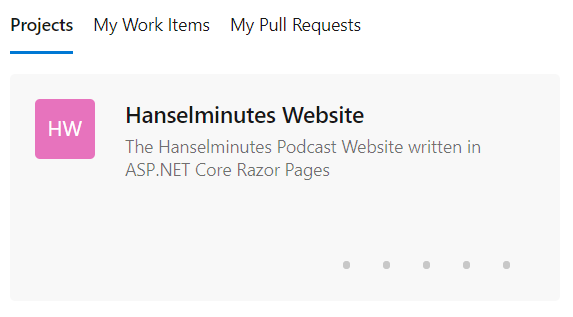 My simple little podcast website with a few tests and the desire to use a preview .NET Core SDK means I’ve outgrown a basic “git push to prod” for deploy. 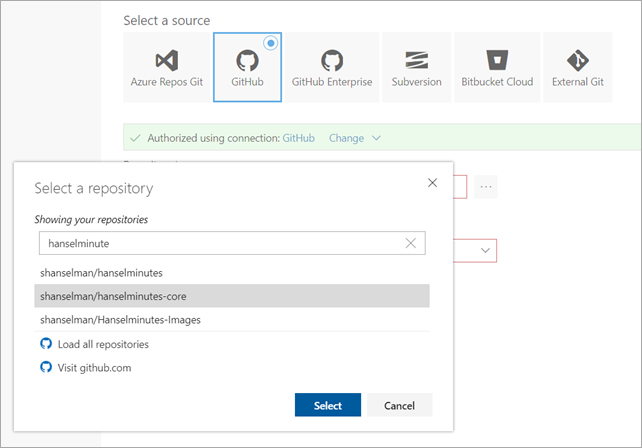 I remembered that Azure DevOps (formerly VSTS) is out and offers free unlimited minutes for open source projects. I have no excuse for my sloppy builds and manual deploys. It also has unlimited free private repos, although I’m happy at GitHub and have no reason to move. It usually takes me 5-10 minutes for a manual build/test/deploy, so I gave myself an hour to see if I could get this same process automated in Azure DevOps. I’ve never used this before and I wanted to see if I could do it quickly, and if it was intuitive. I want to build with .NET Core 2.2 which is currently in Preview. I have some Selenium Unit Tests that can’t run in the cloud (at least, I haven’t figured it out yet) so I need them skipped. Cool. 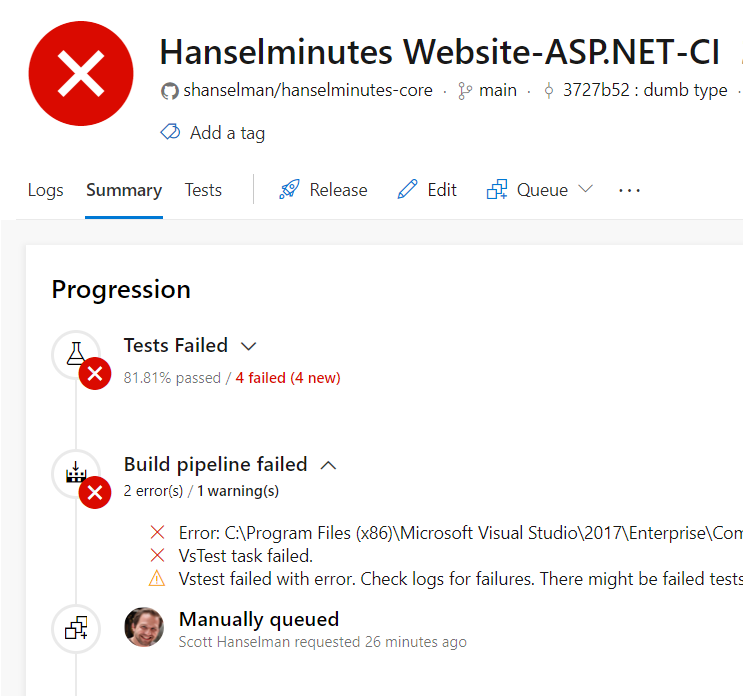 So I make a project and point Azure DevOps at my GitHub. They have a number of starter templates, so I was pleasantly surprised I didn’t need manually build my Build Configuration myself. 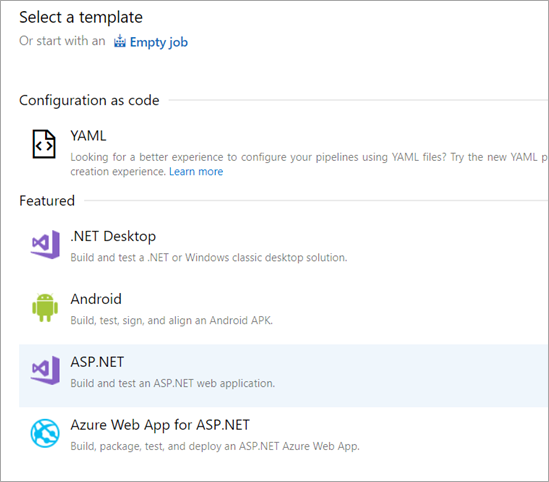 I’ll pick ASP.NET app. I could pick Azure Web App for ASP.NET but I wanted a little more control. Now I’ve got a basic build pipeline. You can see it will use NuGet, get the packages, build the app, test the assemblies (if there are tests…more on that later) and the publish (zip) the build artifacts. I then clicked Save & Queue…and it failed. Why? 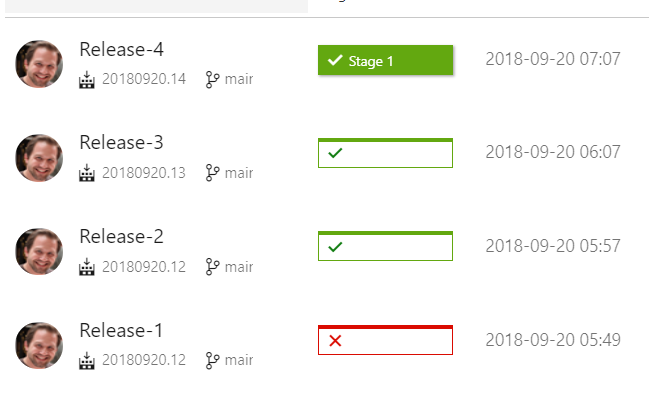 It says that I’m targeting .NET Core 2.2 and it doesn’t support anything over 2.1. Shoot. 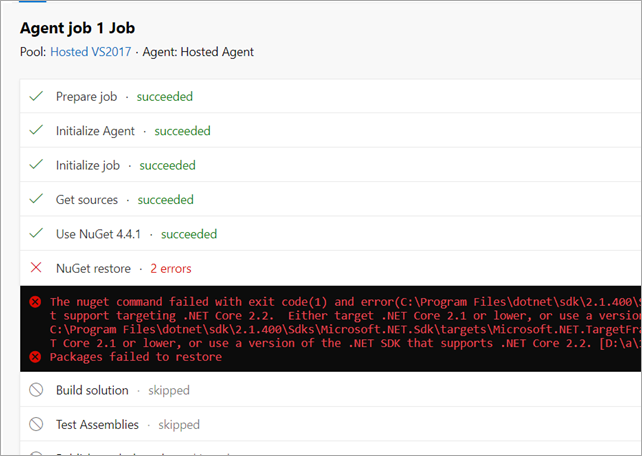 Fortunately there’s a pipeline element that I can add called “.NET Core Tool Installer” that will get specific versions of the .NET Core SDK. NOTE: I’ve emailed the team that “.NET Tool Installer” is the wrong name. 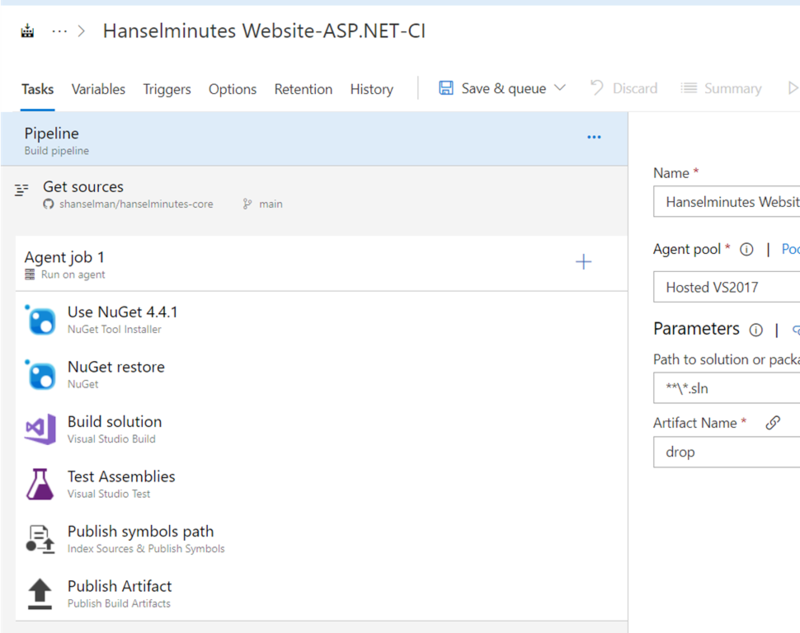 A .NET Tool is a totally different thing. This task should be called the “.NET Core SDK Installer.” Because it wasn’t, it took me a minute to find it and figure out what it does. I’m using the SDK Agent version 2.22.2.100-preview2-009404 so I put that string into the properties. At this point it builds, but I get a test error. There’s two problems with the tests. When I look at the logs I can see that the “testadapter.dll” that comes with xunit is mistakenly being pulled into the test runner! Why? Because the “Test Files” spec includes a VERY greedy glob in the form of ***test*.dll. Perhaps testadapter shouldn’t include the word test, but then it wouldn’t be well-named. My test DLLs are all named with “tests” in the filename so I’ll change the glob to “**$(BuildConfiguration)***tests*.dll” to cast a less-wide net. Don’t tease me. I like it. Now I can skip tests that I don’t want running. Now my tests run and I get a nice series of charts to show that fact. I have it building and tests running. I could add the Deployment Step to the Build but Azure DevOps Pipelines includes a better way. I make a Release Pipeline that is separate. It takes Artifacts as input and runs n number of Stages. 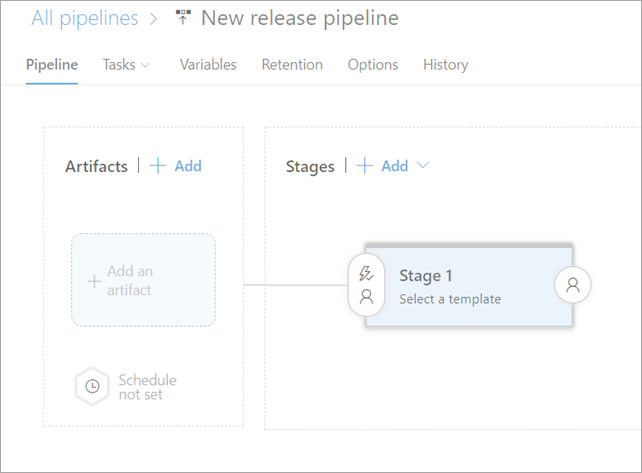 I take the Artifact from the Build (the zipped up binaries) and pass them through the pipeline into the Azure App Service Deploy step. Here’s the deployment in progress. Cool! 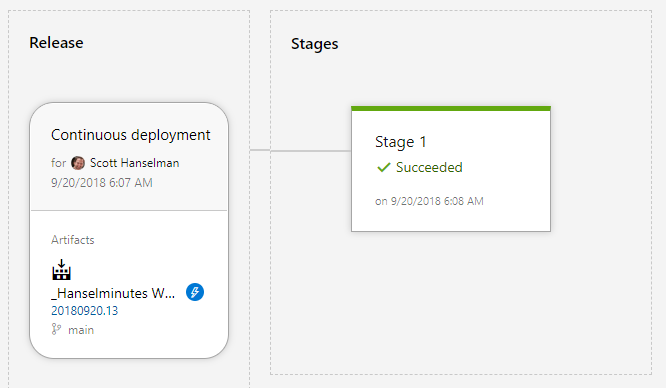 Now that it works and deploys, I can turn on Continuous Integration Build Triggers (via an automatic GitHub webhook) as well as Continuous Deployment triggers. 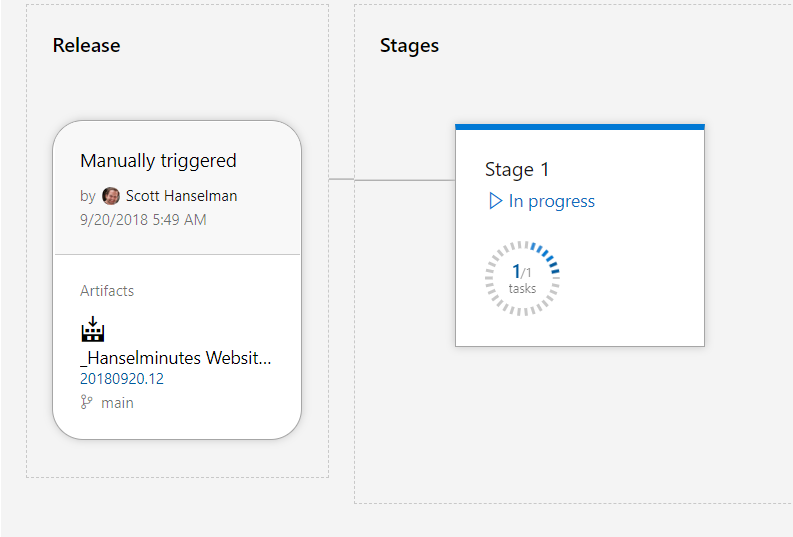 Azure DevOps even includes badges that I can add to my readme.md so I always know by looking at GitHub if my site builds AND if it has successfully deployed. Now I can see each release as it happens and if it’s successful or not. 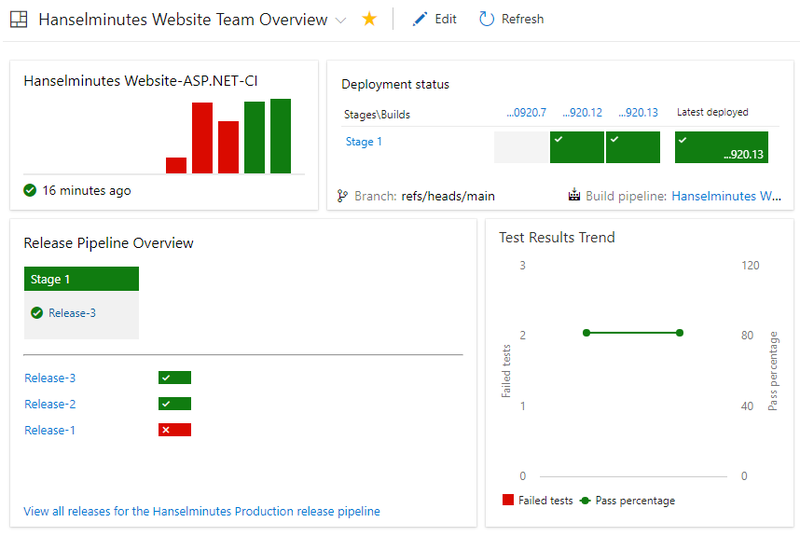 To top it all off, now that I have all this data and these pipelines, I even put together a nice little dashboard in about a minute to show Deployment Status and Test Trends. 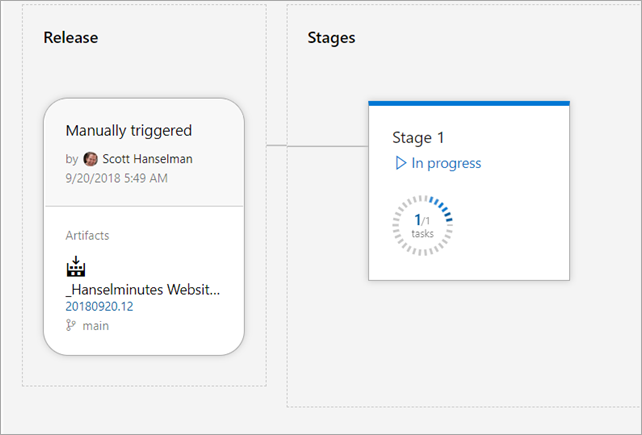 When I combine the DevOps Dashboard with my main Azure Dashboard I’m amazed at how much information I can get in so little effort. Consider that my podcast (my little business) is a one-person shop. And now I have a CI/CD pipeline with integrated testing gates that deploys worldwide. Many years ago this would have required a team and a lot of custom code. Today it took an hour. Awesome. I check into GitHub, kicks off a build, tests, emails me the results, and deploys the website if everything is cool. Of course, if I had another team member I could put in deployment gates or reviews, etc. Sponsor: Copy: Rider 2018.2 is here! Publishing to IIS, Docker support in the debugger, built-in spell checking, MacBook Touch Bar support, full C# 7.3 support, advanced Unity support, and more.